Music has the power to heal…to transcend pain and anguish…and to bring hope. Even through humanity's darkest chapters — music persists. The mission of Violins of Hope is to educate audiences about the Holocaust through music and culture using a collection of violins, violas, and cellos rescued from the Holocaust and restored by Israeli luthiers Amnon Weinstein and his son Avshalom. Included is a violin played in the Auschwitz orchestra as well as one used on the Kindertransport. Some were played by Jewish inmates in Nazi concentration camps; others belonged to the Klezmer musical culture, which was all but destroyed by the Nazis. These instruments were silenced by World War II. After painstaking restoration, however, they have new life and sound, giving voice to a generation lost in the Holocaust. It restores hope, the strength of the human spirit, and the power of music. It is a proof of the victory of life over death and the victory of memory over oblivion. Marking the 75th anniversary of the liberation of Auschwitz-Birkenau concentration camps and to honor the six million Jewish victims of the Holocaust and millions of other victims of the Nazis, Violins of Hope will come to Los Angeles in March and April 2020. In addition to concerts featuring the instruments, selected violins from the collection will be exhibited at the Los Angeles Museum of the Holocaust. The exhibition will showcase instruments with their individual stories. Violins of Hope is not only a memorial to the lost culture and people, it is an educational project that reaches students and adults, people of all faiths and backgrounds. Visitors will attend narrated concerts telling the history of some of the instruments – such as the violin which was thrown out of a cattle car on the way from France to Auschwitz; the violin that was buried under the snow in Holland; the violins that saved the lives of people who played in camp orchestras and others who survived to tell the story. So many stories, so much history. These instruments are the symbol of hope. In 2015, following the publication by Harper Collins of The Violins of Hope by author Jay Grymes and a critically acclaimed PBS documentary narrated by Adrian Brody; academic, music, cultural, and media partners came together in Cleveland, Ohio. More than 70 programs including an exhibition and countless lectures and school visits impacted tens of thousands and cast a national spotlight on the project. It may be music that best elevates and motivates mankind’s brightest moments. Resolute against the passage of time, music bridges generations otherwise divided by decades. Mentioned throughout the Holy texts, musical instruments, especially the string instruments that were the violin’s predecessors, were exalted. Beginning in the Renaissance, Jewish violin players made their mark. And in the centuries since, the violin accompanied the Jewish people into exile. These prized possessions were not purveyors of music alone. They carried the collective memory of a people, and brought cultural influence throughout the globe. This was never more true than during the Holocaust. In this spirit, the Violins of Hope collection will make the journey from Tel Aviv to Los Angeles County, in an unprecedented collaboration between The Soraya, the Los Angeles Museum of the Holocaust, four Southern California symphony orchestras, and Chair Susanne Reyto. The Soraya will present three concerts featuring the violins, with an opening concert on March 22 featuring the LA Jewish Symphony. New West Symphony, The LA Lawyers Philharmonic, and Long Beach Symphony will host the violins in concerts at their venues throughout the region, reaching audiences across Southern California. 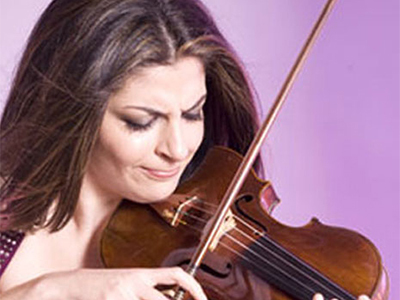 In addition to the Violins of Hope concerts in the spring of 2020, The Soraya will also present two of the worlds most acclaimed violinists, each who has strong connections to the violin shop in Tel Aviv. Itzkhak Perlman will open The Soraya's season on September 19, 2019. Perlman grew up in the same Tel Aviv neighborhood as the shop and visits when he returns to Israel. Pinchas Zukerman will perform with the Royal Philharmonic on January 24, 2020. Zukerman's first childhood violin came from the shop, where he too has an ongoing relationship. These concerts featuring two extraordinary musicians will highlight an entire season dedicated to Violins of Hope. With three generations having been born since the Holocaust, how do we keep alive the memories of those who perished, and how do we continue to perpetuate the firsthand stories of those who persevered? Each instrument of the Violins of Hope shares a common past from a dark moment in human history, but more so, each violin embodies a personal story, an immediate connection to those who once played them. Come hear the violins and see them firsthand. Experience their resonance, musical and historical alike. Regard them as powerful symbols, as emblems of perseverance, as sources of reflection, and as reminders of compassion and empathy. The violins stand as a tangible connection to our past, and their stories reach across the generations and demand of us Never Again. Violins of Hope Los Angeles County will open on March 22 with the Los Angeles Jewish Symphony and captivating violinist Lindsay Deutsch. Deutsch will be playing one of the finest of the rescued violins, performing Schindler’s List Suite, Ernest Bloch’s Baal Shem Suite, and Suite for Klezmer Band and Orchestra by Sid Robinovitch. The Soraya will feature Tel Aviv native Lahav Shani and the Rotterdam Philharmonic on March 26, with soloist Nelson Freire. 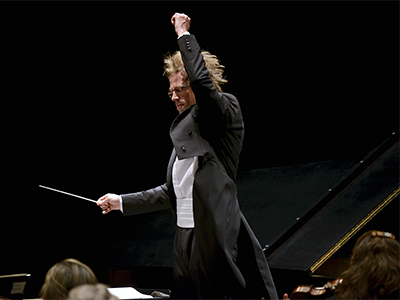 Shani acquired prominence among the world's conductors when he was chosen to succeed Zubin Mehta as Music Director of the Israel Philharmonic Orchestra. Music Director Gary S. Greene, Esq. Maestro Greene will lead his LA Lawyers Philharmonic in a musical program of reverence and respect for those who performed on these Violins of Hope and their audiences who heard the sounds emanating from them in the concentration camps of Europe during the 1930s and 40s. The music will bridge the works of Mozart, Mendelssohn and Verdi that were performed in the camps to works by composers in exile who escaped the ravaging ordeal to later works of remembrance by John Williams (Theme from Schindler’s List), Ernest Gold (Exodus) and Jerry Bock (Fiddler on the Roof). 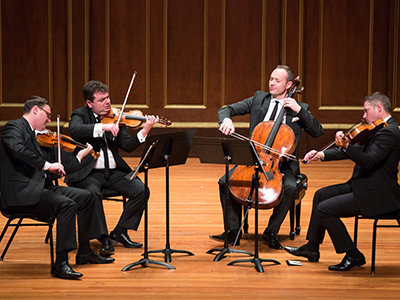 The Jerusalem Quartet will close The Soraya's leg of the series on April 5 with works by Haydn, Shostakovich, and Brahms. The group debuted in 1996 and has since carried on the string quartet tradition with their award-winning performances and recordings. New West Symphony will perform Alfred Newman’s Diary of Anne Frank Suite, and Jonathan Leshnoff’s Fourth Symphony, “Heichalos,” written expressly for Violins of Hope. The Long Beach Symphony will perform ‘Hatikvah” from Munich (Williams), “Theme from Schindlers List” (Williams), “Symphony No. 1, 2nd Mvmt, Psalm” (Ben-Haim), and “Requiem” (Verdi).Violins of Hope Los Angeles County will conclude on April 26 with a Chamber Music Concert featuring the Long Beach Symphony musicians playing violins, the viola, and cello from the Violins of Hope collection. 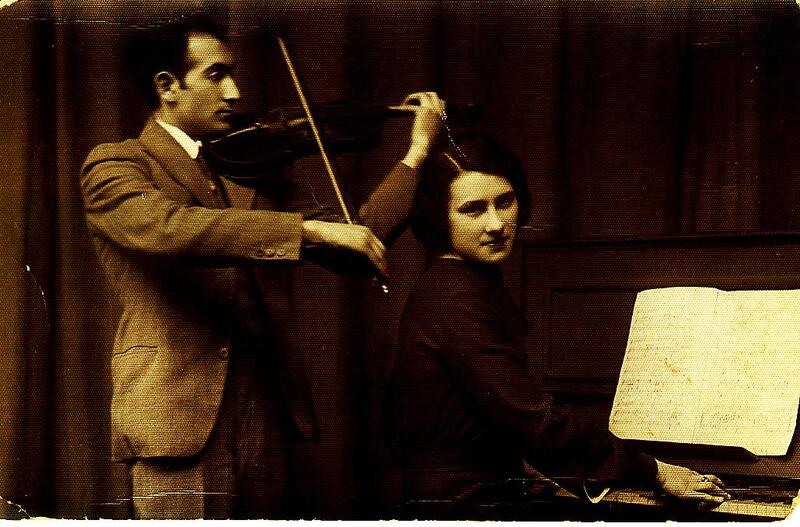 81 years ago, Moshe Weinstein and his wife, Golda, moved to Tel Aviv and opened a violin shop. They had both graduated from the Vilna conservatory, Moshe as a violinist and Golda as a pianist, and followed the large Jewish emigration from Europe to Palestine. In postwar Europe, survivors of the Holocaust — remnants of the continent’s once rich and thriving Jewish communities — poured out of liberated concentration camps, work camps, and displaced-persons camps. Some made their way to British Mandate Palestine and what would soon become the new, modern Jewish State of Israel. Many made their way to our shores in the United States, Canada, and Latin America. Countless more remained locked behind the Iron Curtain as the Cold War settled across the globe. Amid the human destruction and displacement, the treasures of the Jewish people also were displaced. The sacred — Torah scrolls, prayer shawls, and other ritual items — but in even greater numbers, the artistic and musical treasures sacred to Jewish culture throughout Europe. The Nazis burned, smashed, looted, and confiscated the possessions of millions. But some precious pieces remained. Many musical instruments survived when their owners did not. Many more were lost or abandoned as their owners escaped the war. And when the Allies liberated Europe in 1945, hope remained. For Moshe and Golda’s son, Amnon Weinstein, that hope manifested in the thin wooden bodies of violins, violas, and cellos rescued from the Holocaust. Amnon and his son, Avshalom, created Violins of Hope to celebrate the triumph of the human spirit. Using their private collection of over 60 violins, violas, and cellos all restored since the end of World War II, the Weinsteins continue to tell the story of the instruments’ previous owners, each with their own personal stories from the Holocaust. AMNON WEINSTEIN, Israeli Master Violinmaker leads the team promoting concerts and educational projects concerning The Violins around the world. He studied in Cremona, Italy, with Pietro Sgarabotto, Giuseppe Ornati, and Ferdinando Garimberti. He also studied in Paris with Etienne Vatelot. He won a gold medal and a certificate of excellence for violin-sound at Salt Lake City in 1982. He received the Medal of the Order of Merit of the Federal Republic of Germany, handed to him by Foreign Minister Frank-Walter Steinmeier at the Jewish Museum in Berlin, Dec. 14th 2016. He also received numerous honors from Germany, Italy, France and is a member of the Violin Society of America. He served as a judge in the violin-makers competition in Salt Lake City in 1998. AVSHALOM WEINSTEIN, a third-generation Israeli violin maker, was trained by his father, Amnon, and began working in their Tel Aviv studio in 1998 as a violin-maker and restorer of violins, violas, and cellos. He is trained in the tradition of the Italian Cremonese School of violin-makers and the French school of restoration. 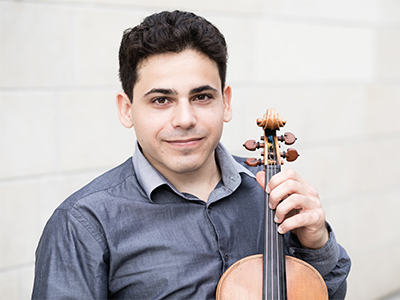 Avshalom also joins his father at the Keshet Eilon Violin and Bow-making atelier at Keshet Eilon Master Class for young violinists each summer since 1998. Avshalom has also been training with Master Bow-maker Daniel Schmidt from Dresden in bow repairs since 2009. Avshalom opened his own workshop in Istanbul in 2009. Susanne Reyto, Chair of Violins of Hope, Los Angeles County, was born just six days before the Nazi occupation of Hungary in March of 1944. Her childhood experiences and her difficult escape from Communist Hungary in the late 1950’s has left her with an unwavering spirit of optimism and perseverance. Her memoir, “Pursuit of Freedom,” recounts the story of her early life, and the stories of the turbulent era. Susanne will oversee Violins of Hope, working to use her own experiences to teach the history of the Holocaust through culture and music. 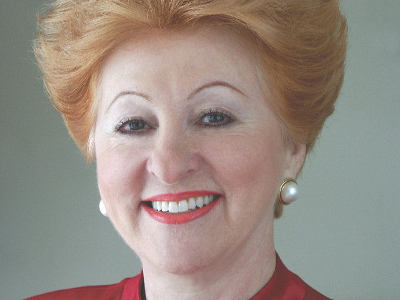 Susanne served as the Chairman for the Board of Governors of the City of Hope, a board member of the Beverly Hills Women’s Club, and the President of Hadassah Los Angeles and ZOA Western Region. Her memoir, “Pursuit of Freedom,” recounts the story of her early life, and the stories of the turbulent era. Located on the campus of California State University, Northridge (CSUN), The Soraya serves the CSUN community, the 1.9 million residents of the San Fernando Valley, and the broader regional market in Los Angeles. 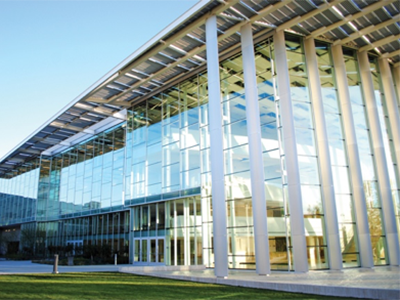 CSUN considers diversity one of its top priorities and is well known for its many different cultural and religious studies programs. The Soraya presents and produces approximately fifty music, theater and dance performances each season between September and June. The 1,700-seat Great Hall is a state-of-the-art concert hall, designed to host the world's greatest musicians and orchestras. The Soraya prioritizes shining a light on musicians and cultures from around the world with the launching of its sub-brand: "Music Knows No Borders." Since launching, The Soraya has presented artists from 45 nations. Serving nearly 10,000 K-12 students and the 40,000 CSUN students annually, The Soraya Arts Education programs exist to engage, enlighten and educate. 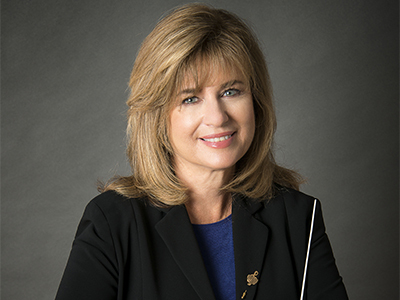 Founded by Dr. Noreen Green in 1994, the Los Angeles Jewish Symphony (LAJS) is dedicated to the performance and preservation of orchestral works of distinction that explore Jewish culture, heritage and experience. The LAJS has performed to great acclaim at such venues as the Walt Disney Concert Hall, Ford Theatres, the Gindi Auditorium at American Jewish University, UCLA's Royce Hall, The Soraya, and many other concert halls, schools, and universities. As part of its mission, the LAJS commissions new works by Jewish composers and showcases up-and-coming young musicians as well as established artists. Each fall, the LAJS takes over 1,000 elementary schoolchildren and their teachers on a journey of musical and cultural discovery in its education outreach program of workshops and concerts, A Patchwork of Cultures: Exploring the Sephardic-Latino Connection. The LAJS is devoted to building bridges of understanding through music across the diverse cultures of Los Angeles. Los Angeles Museum of the Holocaust will host select violins during Violins of Hope, including some that are not in playable condition, inviting students and the public to interact with these artifacts and learn from their history. The Museum will host education programs and tours focusing on the historical significance of the violins as well as the music, culture, and lives that they represent. 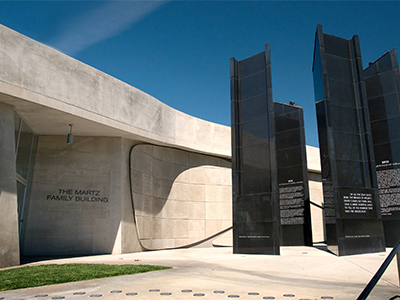 Los Angeles Museum of the Holocaust, the first survivor-founded Holocaust museum in the United States, is a primary source institution that commemorates those who perished, honors those who survived, and houses the precious artifacts that miraculously weathered the Holocaust. Founded by Holocaust survivors in the 1960s, the Museum provides free Holocaust education to students and visitors from across Los Angeles, the United States, and the world, fulfilling the mission of the founding Holocaust survivors to commemorate, educate, and inspire. In 2018, the Museum welcomed more than 63,000 visitors. More than 20,000 students visited the Museum in 2018 for docent-led tours and interaction with Holocaust survivors, including nearly 11,000 students from Title I schools. 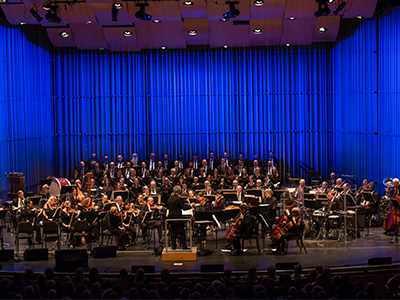 Long Beach Symphony is one of California’s largest professional regional orchestras providing quality live performances, interactive family programming, and educational opportunities to the community of Long Beach. 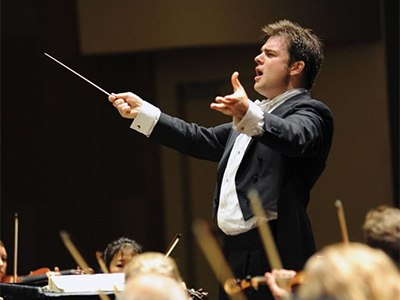 Under the baton of Music Director Eckart Preu, the Long Beach Symphony presents more than 100 concerts and events a year that reach more than 60,000 residents of the Long Beach area. The Sympony was founded in 1934 and has since expanded its programming to include a Classical series, a POPS! series, and free educational and community engagement programs. The Long Beach Symphony's robust free education program includes Instrument Petting Zoos, Family Concerts, Elementary School Ensembles, and many more programs that have reached over 1 million children in the Long Beach Area. 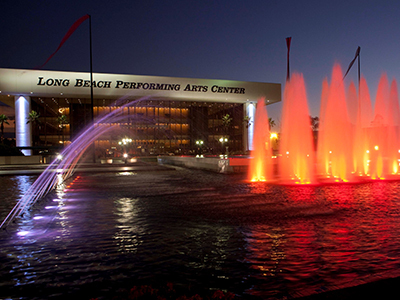 The Symphony performs in Downtown Long Beach at the beautiful Long Beach Performing Arts Center’s Terrace Theater and the Long Beach Arena. 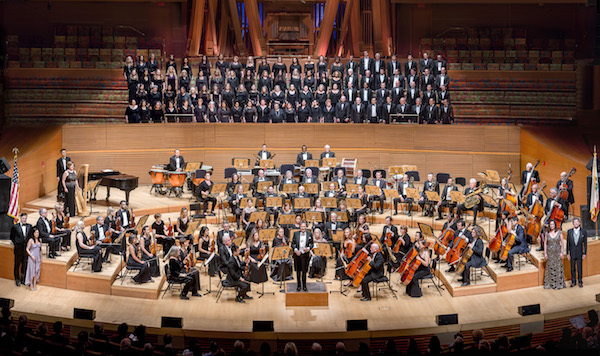 Founded in 2009 by its conductor, Gary S. Greene, Esq., the Los Angeles Lawyers Philharmonic is composed of lawyers, judges, law students, and legal staff, and performs concerts to raise funds for those who cannot afford legal services and for other charitable causes. Maestro Gary S. Greene founded the 75-member orchestra, the LA Lawyers Philharmonic, in 2009, and the 100-member chorus, Legal Voices, in 2011. In 2012, he founded an 18-piece Glenn Miller-style big band called Gary Greene, Esq. & His Big Band of Barristers. The music ensembles have performed at Walt Disney Concert Hall, the Shrine Auditorium, Wallis Annenberg Center for the Performing Arts, the Chicago Art Institute, and the Library of Congress in Washington, D.C., among many other venues. The groups have also performed benefits for the American Diabetes Association, the City of Hope, Hollywood Remembers World AIDS Day, Mogen David Adam, The Salvation Army, Shriners Hospitals for Children, and performed the 100th Anniversary Concert for the City of Beverly Hills. Celebrating its 25th season, the New West Symphony is a professional orchestra with artistic direction led by Maestro Michael Christie, appointed as music director in December, 2018. 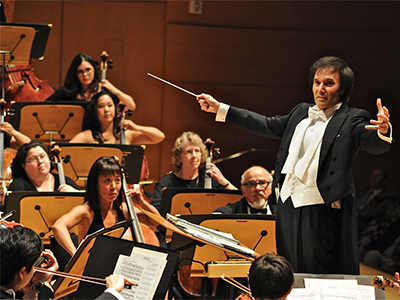 The New West Symphony orchestra includes some of the world’s most famous and accomplished musicians. Our tenured orchestra members have appeared as soloists with the finest orchestras, are GRAMMY®-nominated artists themselves, and can be heard on almost any film soundtrack you can imagine, from Jurassic Park and Star Wars to La La Land. New West Symphony presents six Masterpiece Series concerts annually, performing major works from the symphonic repertoire with internationally-acclaimed artists as guest soloists. TheSymphony provides quality outreach and educational opportunities for the communities it serves through its annual Symphonic Adventures concert programs for youth, its traveling Music Van, and the Laby Harmony Project, a year-round music and leadership program for underserved students. What does it mean for children and teens to experience the violins in their own schools? At close range, our youngest Angelenos in 40 to 50 public and private schools will hear the violins and see their unique colors and markings. They will participate in the transfer of memory from one generation to the next, listening to stories about the violins’ original owners and having the opportunity to ask questions and discuss with their peers, teachers, and musicians. These in-school sessions will culminate in a student matinee concert at The Soraya with Ashkenazi, our center’s first Artist in Residence. Virtuoso violinist Niv Ashkenazi has captivated audiences with his heartfelt musicianship and emotional performances. Praised for his lush sound, passionate playing, and formidable technical powers, he has made several Carnegie Hall and Kennedy Center appearances, and has performed in Europe, the Middle East, and across North America. His conviction that the impact of music serves people beyond the concert stage motivates him to collaborate on projects that create a strong emotional bond with his audience. 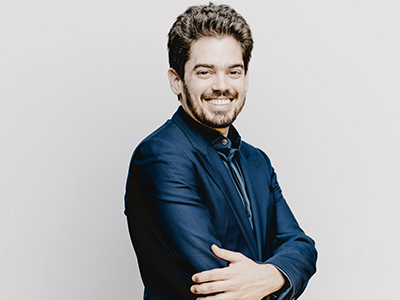 He has worked with members of the Los Angeles Philharmonic, Juilliard String Quartet, Cavani Quartet, and Ariel Quartet. He has been invited to perform at the Lake George Music Festival, Perlman Music Program’s Chamber Music Workshop, Music Academy of the West, Keshet Eilon Summer Mastercourse in Israel, and iPalpiti Festival of International Laureates. Niv also performs for Street Symphony, an LA-based nonprofit which places social justice at the heart of music making and serves communities disenfranchised by homelessness and incarceration in Los Angeles County. Working with Street Symphony, he has connected with audiences on Skid Row, in jails, and in transitional housing and has explored using traditional western music, improvisation, and community engagement to create powerful experiences for members of these communities. He serves on the professional advisory board of Shane’s Inspiration, a global nonprofit organization dedicated to building inclusive playgrounds, and formerly served on the board of the Los Angeles Youth Orchestra. Incorporating the unique opportunities in the Violins of Hope project, The Soraya and Ashkenazi will work with educators to enhance their study of the Holocaust, World War II, Jewish culture, and genocide — with a deep dive into how the arts serve as a powerful lens through which to explore the historical significance and emotional weight of this material. For more than 20 years, Tel Aviv violin maker Amnon Weinstein and his son Avshalom have collected and restored instruments played by Jewish musicians during the Holocaust — instruments often lost or abandoned as their owners attempted to escape the atrocities of World War II. The instruments lived on as their owners perished.